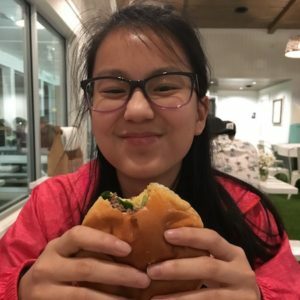 If you’re a regular reader (and I hope you are!!! ), you know I’m a big fan of Alabama’s Beaches. As a regular visitor, I get to try new restaurants in Gulf Shores and Orange Beach every time I go. 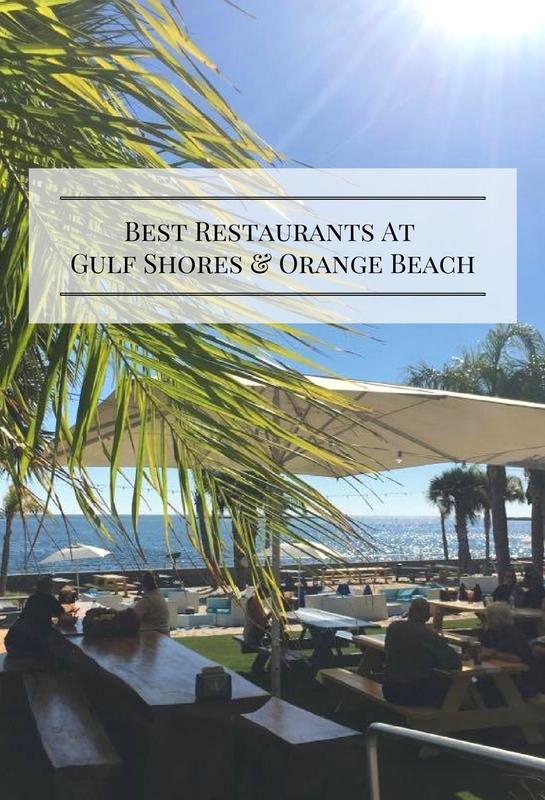 I have collected a few favorites along the way, the very best restaurants in Orange Beach, AL and Gulf Shores! 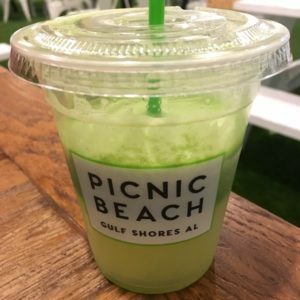 This post includes a list of the best places to eat in Gulf Shores and Orange Beach, updated every time I go. It’s categorized by meal for easier searching. If you try one of the restaurants on this list, please leave a comment with your feedback, too. AND, if you have a favorite place not on my list, let me know. I’ll try to get there next time! My daughter’s favorite meal of the day is breakfast! She loves her eggs over easy with a side of grits and crispy bacon. She chases it down with a tall glass of chocolate milk — and she will enjoy every bite! I’m more of a healthy breakfast girl, oatmeal with fruit or avocado toast, with a great cup of coffee. We’ve found a few places that make us both quite happy! The restaurant’s sunny decor and high ceilings are inviting, while the high backed booths balance the openness, creating intimate dining spaces. The Louisiana inspired menu offers sweet and savory breakfast items to please every member of the family. Sides — pig candied bacon (trust me on this one). The Caribbean Sampler — an egg dish that’s sweet and spicy. With jerk chicken, grilled pineapple, cheese and mango salsa, it really is a party for your mouth! Stuffed French Toast Sliders — made with a battered french bread stuffed with cream cheese and fruit compote, then topped with fosters’ sauce, whipped cream and powdered sugar. It’s sweet — and filling! Bananas in Pajamas — crispy banana egg rolls served with fosters sauce. This is fun for kids — awww, who am I kidding? You’ll love it, too! 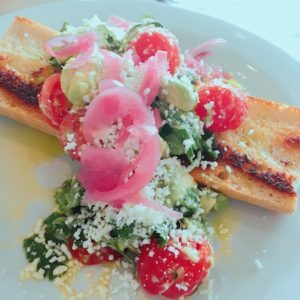 Breakfast toast: Avocado, cherry tomato, pickled red onion, cotija cheese and cilantro “salad” served over grilled Cuban bread. It was filling and satisfying, the slightly sweet, crunchy bread a great contrast to the creamy avocado. 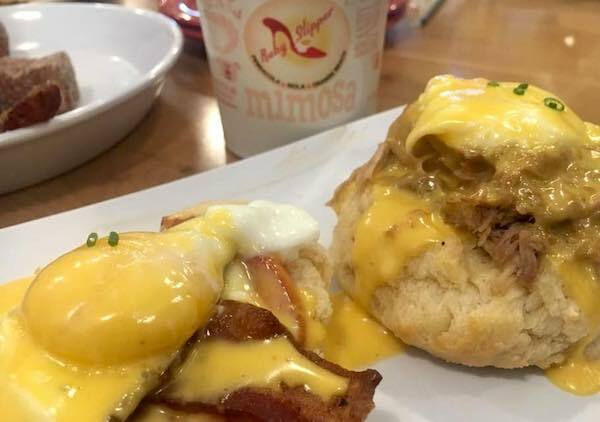 We have only had breakfast at one place in Gulf Shores, so far, because we usually stay at condos in Orange Beach, but this is a solid choice if you’re staying nearby. The Southern Biscuit Sandwich, a giant biscuit topped with fried green tomato, avocado, a farm fresh fried egg and Alabama White BBQ sauce. Ellie said this spicy white sauce is “THE BEST” sauce she’s ever eaten. She even used her finger to wipe the plate clean of every drop. My girl hates messy fingers. The Chicken and Waffle Benedict, a crispy fried boneless chicken breast and a creole hollandaise on a waffle, drizzled with syrup. I love chicken and waffles, and this dish did not disappoint. I got a side of greens, which is a bowl of fresh greens, not dressed. 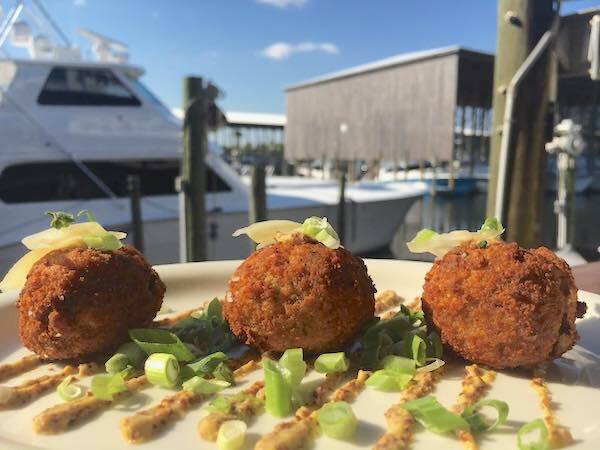 When it comes to the best places to eat in Orange Beach and Gulf Shores, it’s hard to pick just one. The best restaurants in Orange Beach are locally owned, dedicated to the culture and vibe of the Orange Beach Gulf Shores area. They take advantage of the scenery (hello, Gulf! ), comforting southern cuisine and the relaxed atmosphere that makes the area so special. Food + Location = Perfection. 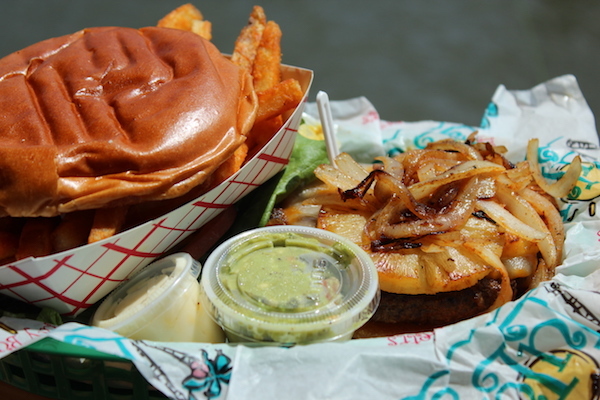 While the menu changes daily, the Gulf Burger and hand cut fries are always delicious! Other considerations include the fish tacos, homemade hummus and pita chips and the daily mojito! 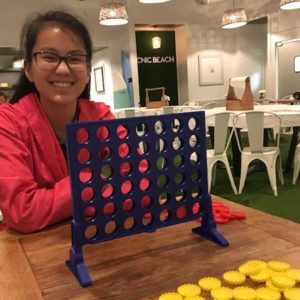 My daughter’s favorite for the atmosphere and friendly staff! 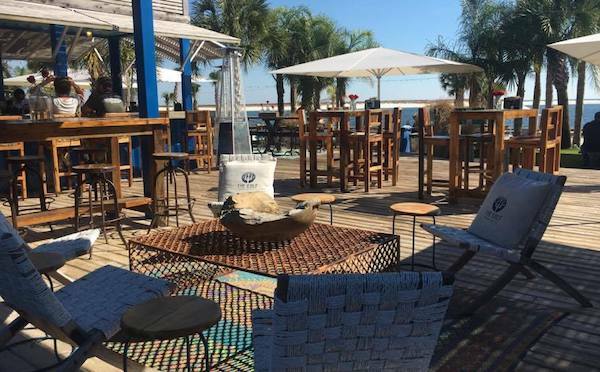 With two locations on Alabama’s gulf coast, both waterfront, hang out at Tacky Jack’s to enjoy great food in a funky atmosphere. Built to look haphazard, the restaurant is actually quite organized! Lines can get long at prime dining times, so go for a late lunch or early dinner unless you don’t mind waiting. Both locations offer spectacular sunset views year-round — for free. One of our favorites was the Mexican Garbage (beef and cheese nachos topped with tomato, onions, black olives, sour cream, jalapeno peppers and salsa). It’s large enough to share — a meal for three if you ask me! The Po Boys are also terrific. 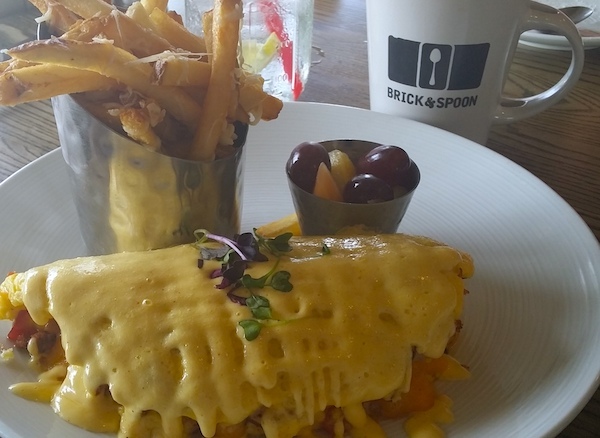 Serving southern favorites that are hand crafted daily using fresh, simple ingredients with a touch of soul. This laid back restaurant offers airy dining and lots of TVs for watching the big game. The staff is attentive to allergy concerns. I ate here alone, something I don’t do often, and felt like I was having dinner at a friend’s house. The staff checked in on me regularly without smothering me. My cup never emptied! The day I went, they had a Nashville Hot Chicken dinner that was pure perfection. It’s no longer offered as a dinner, but I can confidently recommend the Nashville Hot Chicken Sandwich in its place. Another great destination restaurant choice is Lulu’s in Gulf Shores. On the waterfront, relax and watch the boats cruise by, listen to live music or let the kids play in the sand. 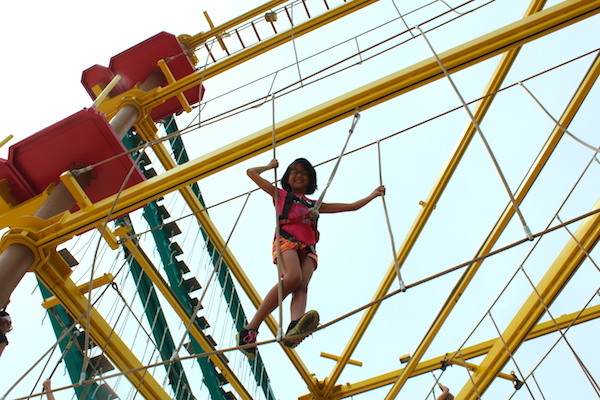 The “restaurant” also has a climbing tower (separate fee), shop, and beach games. Lulu’s is about more than dinner: take a break to enjoy family, fun and food! 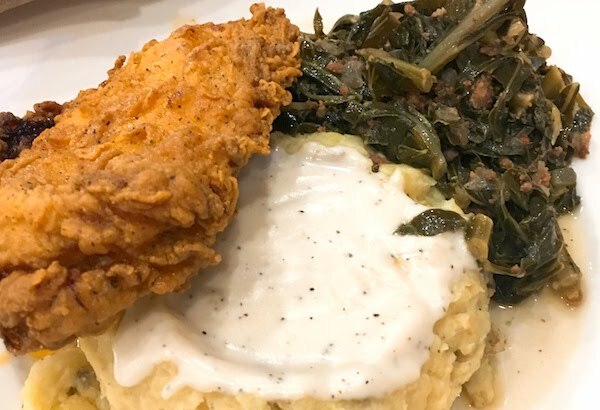 Our recommendations include the “Best of Alabama” fried green tomatoes, any of the burgers, Crazy Sista’s Pulled Pork Sandwich, and the Key Lime Pie. A note: Reviews often state that Lulu’s is over-priced. If you are planning a quick dinner and don’t want to enjoy a relaxed meal, this might not be the place. If you’re want to kick back and enjoy family time, this is the perfect spot. The bison burger with potato salad. Ellie loves bison burgers. Who knew? I put this header in quotes, because while the places I’m about to list offer a more sophisticated menu, they’re also quite family friendly restaurants. You’ll find people dressing up a bit, but they are not stuffy! Kids are welcome — wanted, in fact. Maybe that’s the Gulf Shores and Orange Beach secret — it’s all about family here. 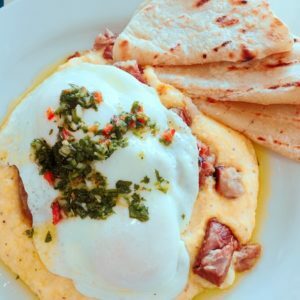 Two restaurants in one, Fisher’s offers a casual dining experience downstairs (dockside) — where flip-flops and shorts are expected. Situated on the waterfront, marina views, grassy lawns and wide docks provide the decor at this open air restaurant. While the atmosphere is decidedly casual, the cuisine is still top-notch. Fisher’s Dockside serves burgers, seafood, salads and sandwiches — and some amazing appetizers. Fisher’s Upstairs (that’s the name) is decidedly more fancy with linen tablecloths and draperies, reclaimed wood, graceful chandeliers. Don’t let that fool you, though, they also have porthole windows looking into the kitchen — watch the chefs cook your steak or seafood dinner! 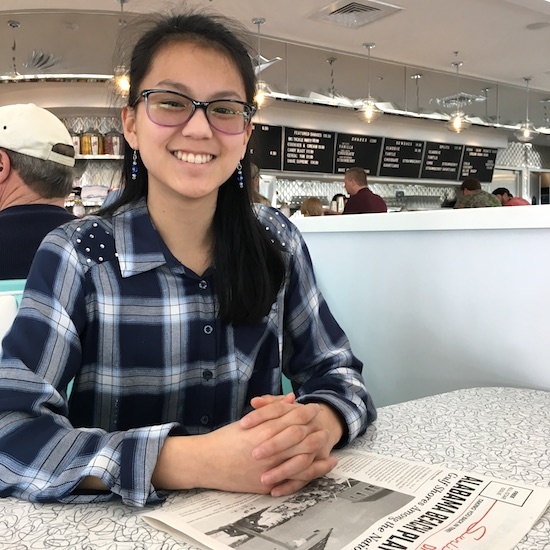 Voyager’s is another of my daughter’s top picks — she feels so grown up when we eat here, thanks to the upscale decor (sparkly chandeliers) and phenomenal wait staff. They treat her like royalty and she soaks it up! Even with the white glove service, Voyager’s maintains a friendly, comfortable vibe that welcomes adults and children warmly. We really relax and enjoy dinner here — part of that Alabama Gulf Coast magic! As to the food, the restaurant is committed to using traceable seafood (they’ll tell you exactly where your fish came from if you ask) and fresh local ingredients. I am particularly fond of the menu’s creativity — unique without being weird. Recognizable flavors used in unusual, but tasty, combinations. My recommendations include: Pork “Secreto,” a house specialty, the Shrimp and Grits (I am allergic to shrimp — sadly — but others at the table raved about it), and the Gulf Coast Bouillabaisse (same comment — but the smell — oh my!). Of all the places I ate last year, Voyager’s Ostrich Carpaccio earned my “best bite of the year” award, so I have to include that as well. 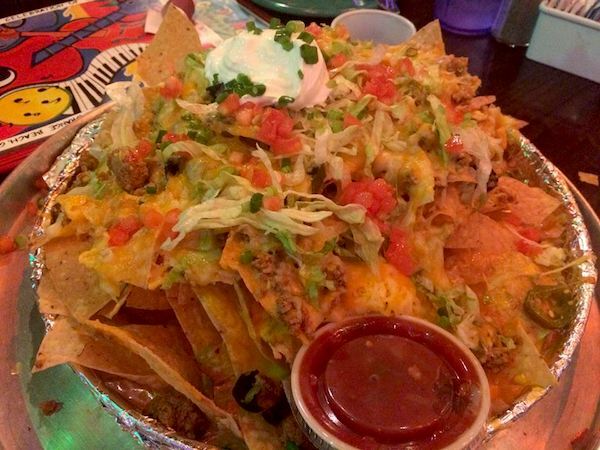 Most restaurants in Gulf Shores and Orange Beach are locally owned, delivering local cuisine you’re sure to enjoy. This is hardly an exhaustive list, but it includes my favorites — I’m sure you’ll enjoy them too! If you’ve been to Alabama’s beaches, recommend your favorite restaurants in Gulf Shores and Orange Beach. I’d love to check them out! Please give your favorite restaurant a shout-out in the comments below or on our Facebook Page. There are actually 3 Tacky Jack’s locations. #2 is at the west end of the island near the ferry. It sits on Mobile Bay and offers the most spectacular sunsets. Thanks for that! Now I need to track it down. They seem to find the best sunsets wherever they put a restaurant. C’mon, don’t use the word “Complete” in your article and title when you only list a few places. There are 100s of places to eat there and there are some closing and opening all the time. A daunting task to track them all. I see your point. I used the word complete in the sense that each review is thorough. I do add restaurants every time I try someplace new and amazing. I’ve had to delete a couple that closed, as you pointed out. Have you tried Big Fish or Anchor in Orange Beach? I’m surprised these two locally owned, off the beaten path places aren’t on the list. 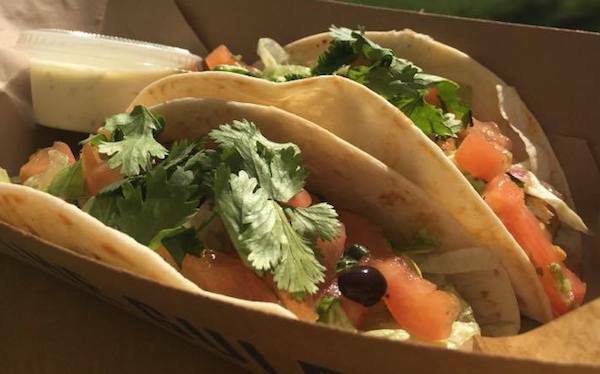 They may miss the mark for family or budget qualifications, but you should definitely try these two local favorites! I have not tried either one, Emily, but I am adding both to my list. What’s your favorite dish at each. I appreciate recommendations! Sorry, you missed the best dinner..Fin & Fork. The Shipps family is well known for Shipps Harbour Grill, and the new venture is just as great. Consistency, every time we go, and that is very very often. Simply the Best prepared steaks Seafood and even sushi that you will find anywhere around this area. I have tried all your other dinner restaurants you listed with the exception of voyager’s which I hope to try someday but it is hard to drive past Fin and fork to get there! Jay, You try Voyager and I promise to go to Fin and Fork next trip! My daughter LOVES sushi, so I know she will be excited to go! 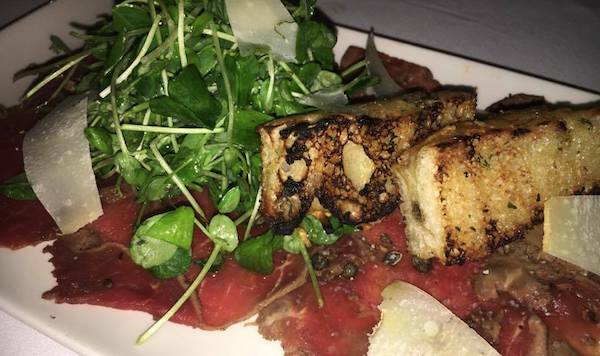 At Voyager, get the ostrich carpaccio. SO GOOD! 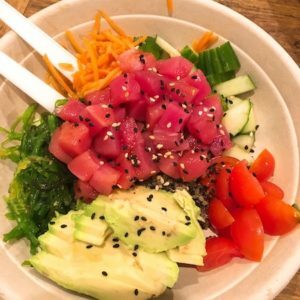 We love Fin and Fork…Can’t believe it’s not on your list. I do love the rest of named restaurants too, can’t disagree with you on those…..Yum! Fin and Fork is my absolute favorite! I’ve never had bad, or even good food there-it has all been GREAT!!! There are so many great options in Gulf Shores and Orange Beach! This reminds me of all the great food I’ve had down there and makes me want to plan a trip! LuLu’s, Fishers, Brick and Spoon and the Gulf are my favorites. I think we need a return visit! This time a girlfriends’ getaway?